The agency recruits families to be licensed as foster parents. Assessments and training are provided at no cost to applicant families. Harnett County has 35 licensed foster homes providing care for children in the custody of the agency. There is a need for more foster homes for children of all ages. Many foster parents adopt children in their care if adoption becomes the plan approved by the court for the child. There is also a need for specialized foster homes to provide care for delinquent and undisciplined youth. If you are interested in learning more about becoming a foster parent, please contact the agency and information will be mailed to you. Extensive Backgrounds checks including fingerprint clearance, criminal and civil recor check, reference checks. Must have a self-sufficient income to meet your needs. Potential foster and adoptive parents are also required to complete a 30 hours pre-licensing training program. Bost spouses must atten the training. 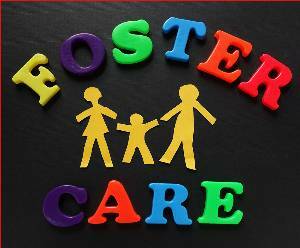 A foster care application form can be downloaded from this site and mailed to the agency after completion. After your application is received, you will be notified of the next foster parent training that is scheduled. For more information contact the Children’s Services Foster Care Licensing at 910-814-6803.